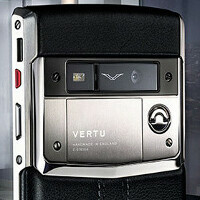 Vertu, one of the most popular manufacturers of luxurious, premium, and (usually) outdated phones, really charmed us with the Signature Touch. Compared with the maker's previous products, the Signature Touch has a clear advantage in terms of hardware specs – it sports a quad-core Snapdragon 800, 2GB of RAM, and a 1080p display. Pair the potent silicon inside the Signature Touch with its premium design and you get a pretty exquisite device, which comes with a price tag of roughly $11,300. Yes, the Signature Touch is quite expensive, but it seems that some folks actually disassembled the device, allowing us to take a peek inside the curious device. If you think that the insides of the Signature Touch house a small slab of white gold or a 7-carat diamond, then you'll be quite disappointed. The guts of the premium device look just the same as the insides of your average smartphone. Unfortunately, we do not get to see the curious Hasselblad-tuned 13MP camera and the audio setup that Bang & Olufsen tweaked. However, without further ado, let's take a quick peek! Don't forget to check out our pick of some pretty expensive and luxurious phones, too! ow sh.t this phone for rich people. I can buy a car with a Samsung Galaxy S5 or iPhone5s or even both and still have some cash left over for that price. Rich ppl actually buy this? Way to not stay a millionaire. Rich people don't buy these phones. People who want to look rich buy these phones. Lol I can totally see that. Maybe in Asia or Middle East...though not everyone is a tech geek to tell its a more than expensive phone. Current high-end market is expensive enough. Plus they usually stay in our pockets. Dumb way to look rich. But down in Middle East..phones made of real gold being flashed around lol. If u go to Asia...they'll say the samsung S5 looks more expensive than this phone (cuz it looks much like the garbage phones they have down there)..in India anyway. Does anyone have any sales figures for this phone? I'd like to see them, because I seriously doubt anyone has bought one. It just doesn't fit into any demographic.